7,860 anime images in gallery. Tagged under TYPE-MOON, Manga, Series and Light Novels. Fate/Zero is a Japanese light novel series written by Gen Urobuchi, the same brilliant mind behind Blassreiter, Black Lagoon and Psycho Pass. 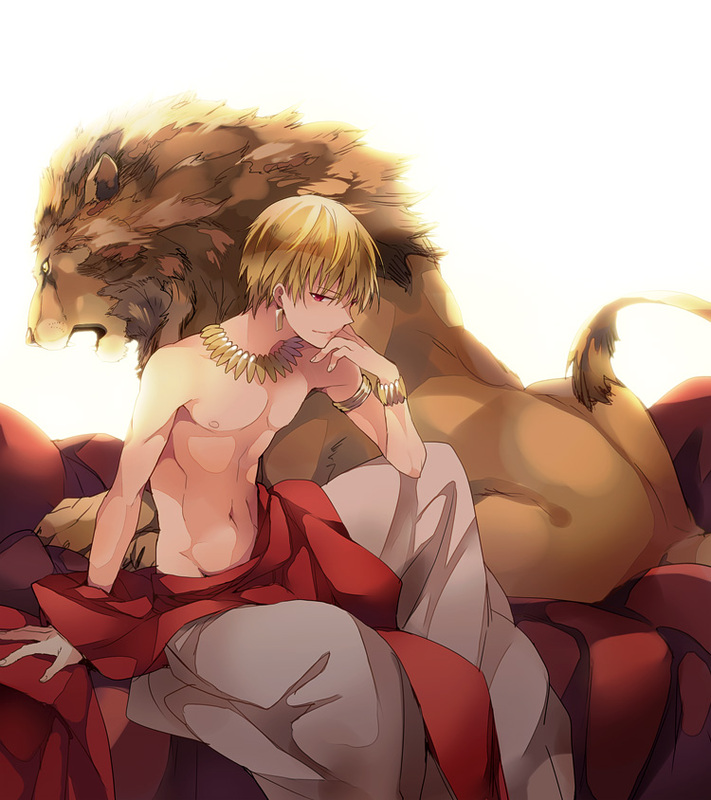 It was illustrated by Takashi Takeuchi and published by Type-Moon from 2006 to 2007 with 4 tankobon volumes. Fate/Zero is a prequel to the big-hit sensational visual novel, Fate/Stay Night. 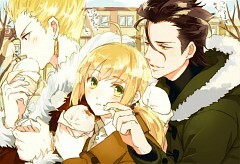 Fate/Zero fall under the themes of action, contemporary fantasy, magic, horror and even thriller. 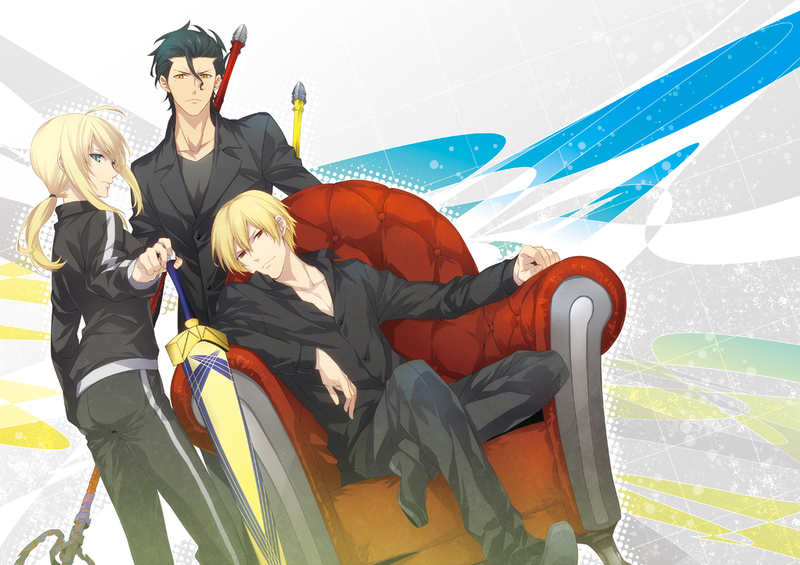 An anime adaptation of Fate/Zero was definitely in the works under the direction of Ei Aoki together with Ufotable Studios. 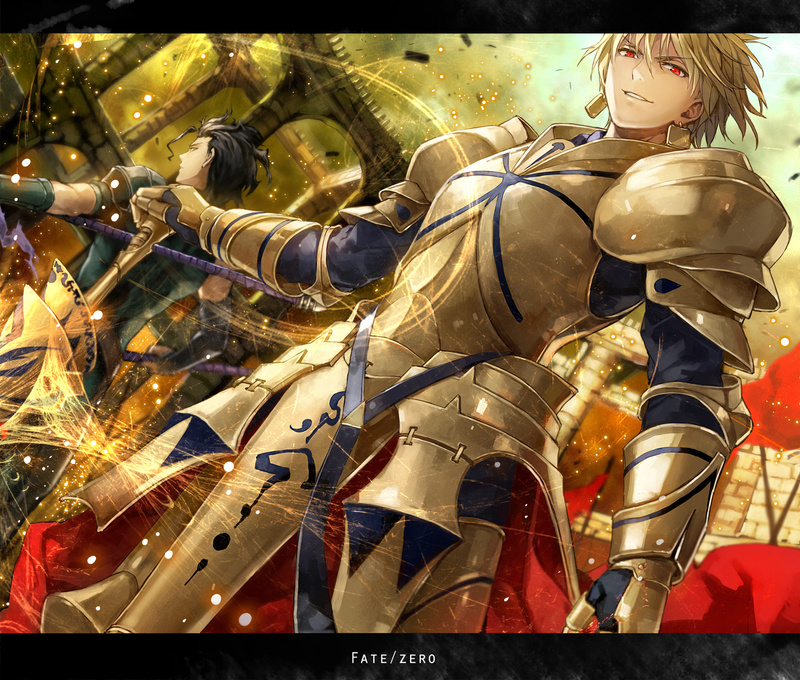 Fate/Zero made its big premiere last October 2011 across several Japanese television networks including Tokyo MX, MBS and Kids Station. It ran for 13 jaw-dropping episodes on December 2011 of the same year. 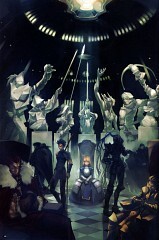 The story takes place ten years prior to the events that happened on Fate/Stay Night. 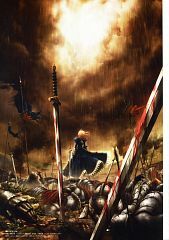 It retells the events that happened on the 4th Holy Grail War in Fuyuki City. 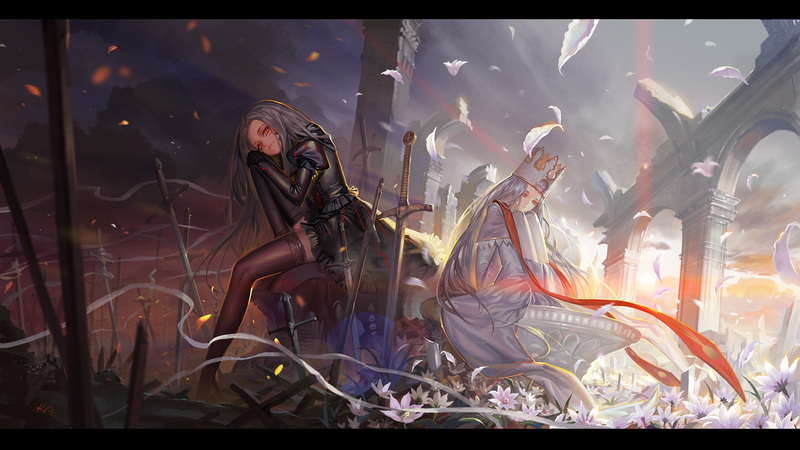 Not much is known about the Holy Grail War only that it is a contest founded several centuries ago by the three great magician families: the Einzbern, Makiri and Tosaka families. Seven mages competing against one another summons seven Heroic Spirits to their aid to obtain the all-coveted “Holy Grail” which is said to grant the winner with any wish they so desire. After having failed three consecutive times, the Einzbern family is determined more than ever to achieve success no matter what the cost. 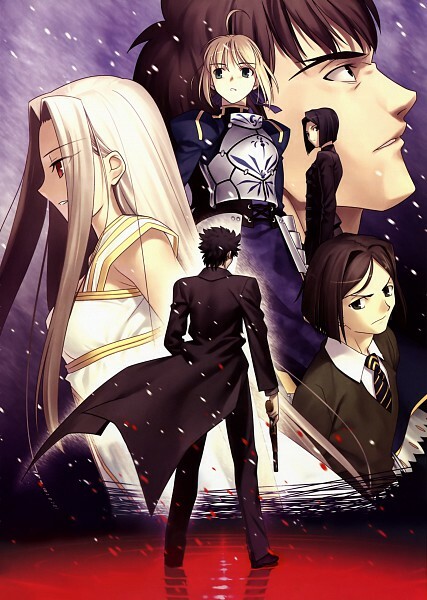 In their desperation, they have employed the services of a hated magus killer, Kiritsugu Emiya, who is reputed to be a skilled mercenary and hitman who is more than willing to use whatever means possible to accomplish his goals. 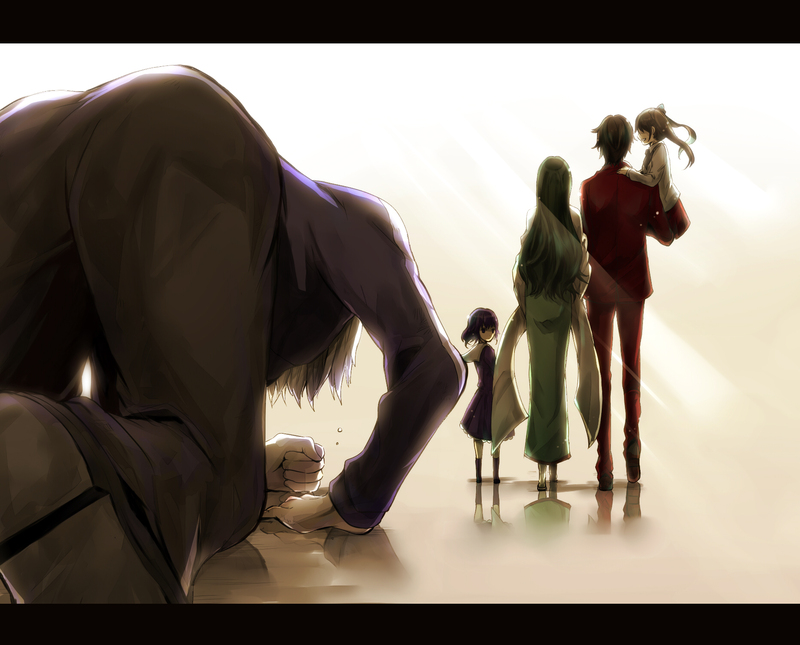 Kiritsugu once dreamed of becoming a hero but later abandons this dream upon realizing that saving one person comes at the cost of another. He now works for the sake of humanity, eliminating and destroying anything and anyone that threatens the peace of others. 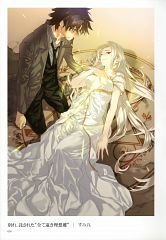 Kiritsugu finds himself torn between his duties to the mission and his duties to his newfound family; his wife Irisviel and their daughter Ilya. Kiritsugu Emiya is the hired hitman by the Einzbern family in hopes of winning the 4th Holy Grail War. 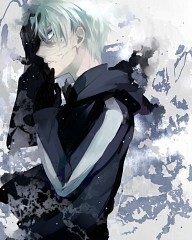 He is the master of Saber who summoned her using Avalon, the holy sheath and scabbard of Excalibur. 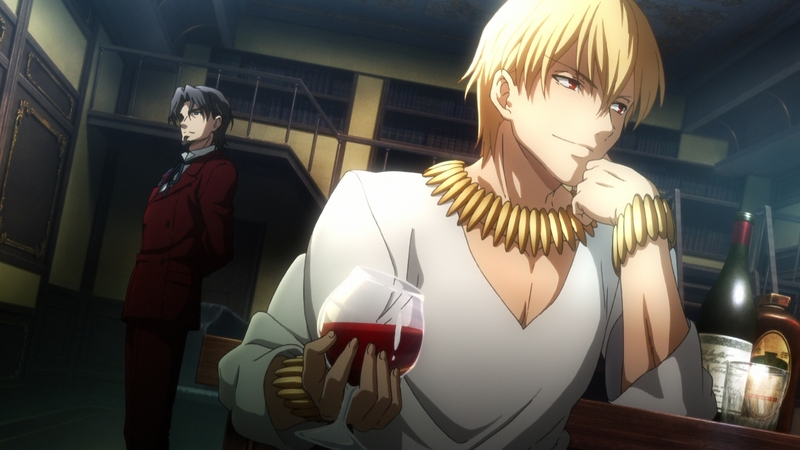 He may act as though cynical and practical, but deep inside he wishes to end all conflict and he believes that winning the Holy Grail War might be the answer. 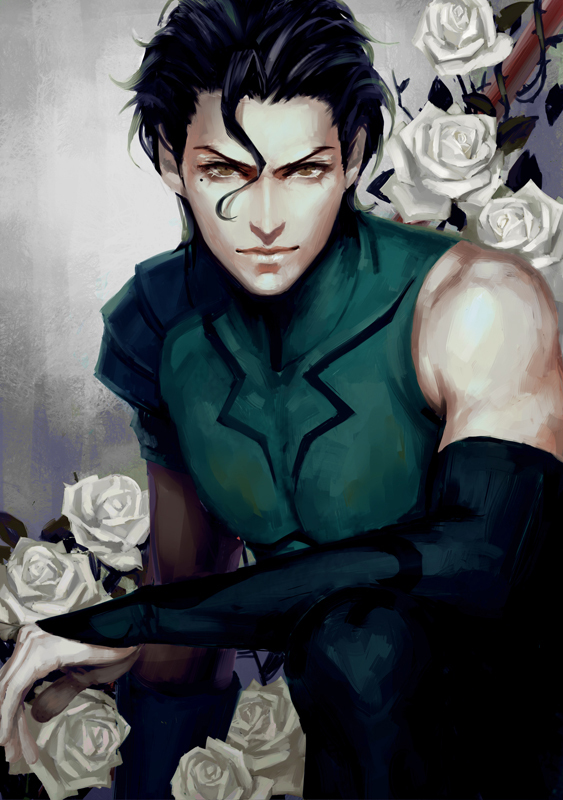 He is infamously known as the “Magus Killer” for his skills as a mercenary to take down magicians by exploiting the enemy magus’ weak points using technology. 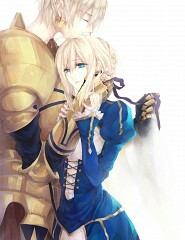 His cynical point of view on life tends to put him in conflict with his Servant, Saber. Irisviel von Einzbern is the mother of Illyasviel von Einzbern and Kiritsugu’s wife. She is actually a homunculus prototype created by the Einzbern family with the idea of giving birth to the perfect and ultimate homunculus. Like any other Einzbern magician, she is also skilled in alchemy. 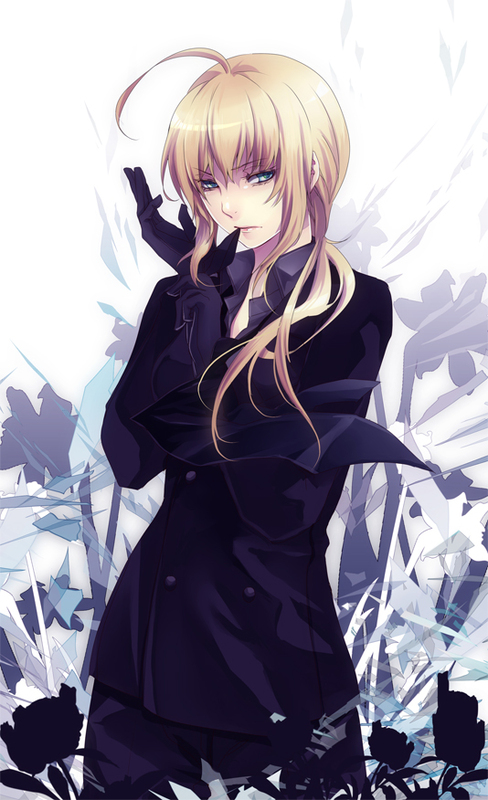 She initially served as Saber’s proxy master since he and Saber seemed to be incompatible in beliefs and in the methods he employs. It wasn’t till later did they realize that she was actually the vessel of the “Holy Grail” itself and will only manifest itself when there are only 2 servants left in the competition. 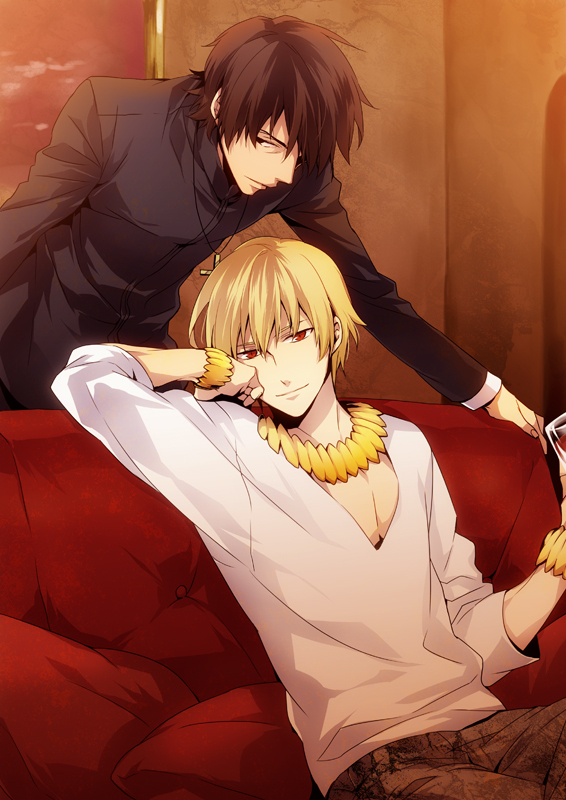 Saber is Heroic Spirit summoned to serve Kiritsugu as his master. Her true identity in life is the infamous King of Kinghts, Arturia Pendragon, who became the King of Britain after obtaining the magical sword in the stone, Excalibur. Among all servants, Saber is said to be the strongest in both physical and magical fortitude. Being a knight herself, she maintains a high code of honor preferring to maintain her honor and dignity rather than victory. She believed that the fall of her country was due to her leadership and thus she seeks the Holy Grail in hopes of undoing the misfortunes that befell her country and wishing for someone else more suitable to lead Britain in her stead. 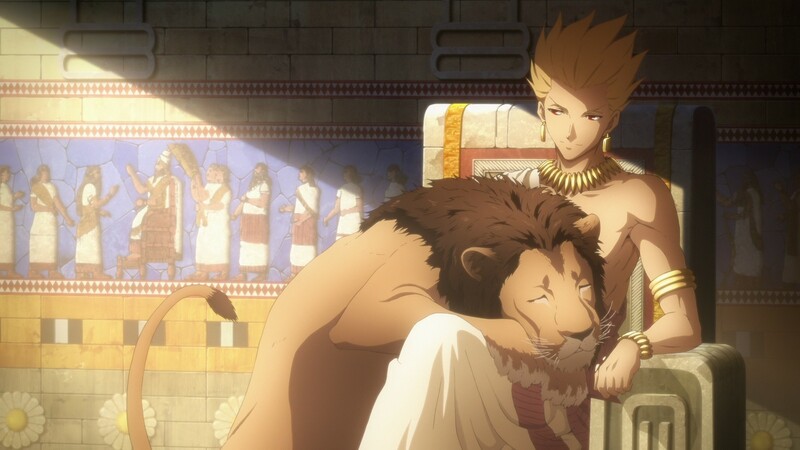 A second season of Fate/Zero was under the works under the same team who worked the first one. Together with Ei Aoki, Atsuhiro Iwakami, Akira Hiyama and Akihiro Yoshida, Ufotable Studios published Fate/Zero 2 and premiered last April 2012. The teeth-gritting action of 12 well-written episodes ended last June 2012 of the same year. 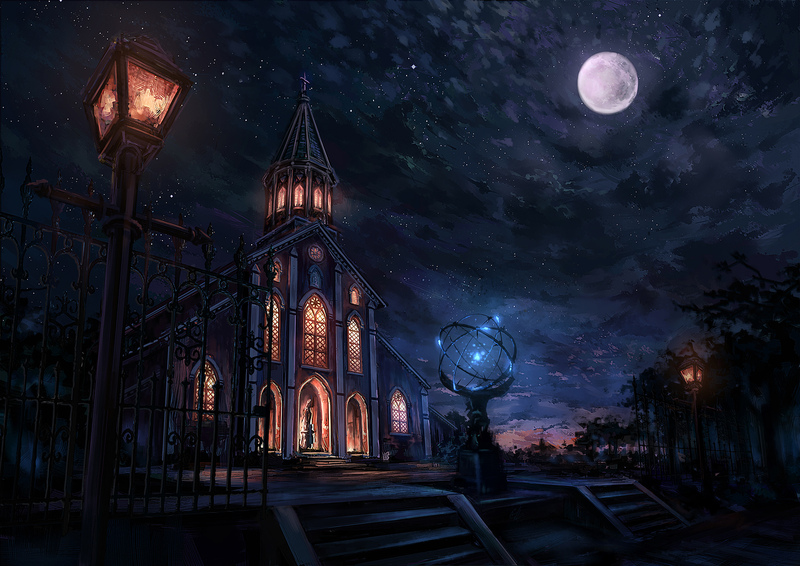 Ufotable has also announced that they are working on a remake of the Fate/Stay Night entitled “Fate/Stay Night Unlimited Bladeworks” and was scheduled to premiere early this year. 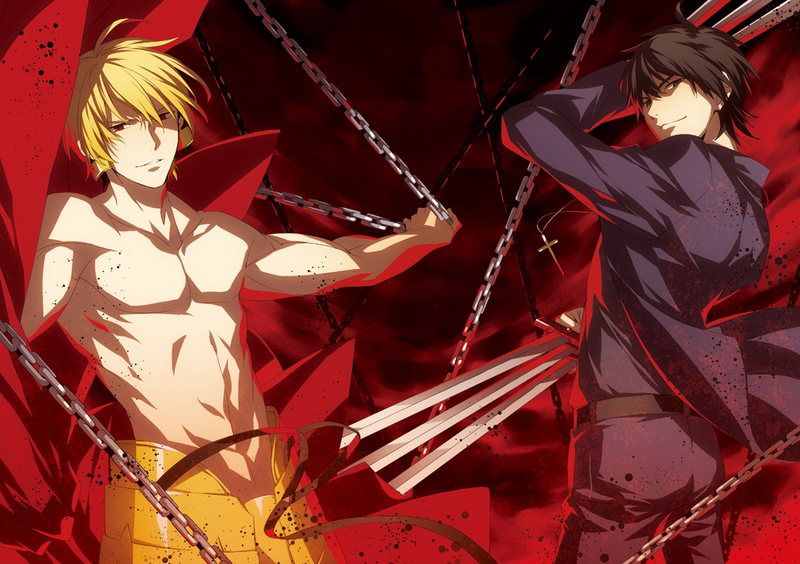 Other similar titles to Fate/Stay Night include Fate/Stay Night, Kiba, Ayakashi and Persona. Other recommended titles that may actually fit the category would be Shaman King.